This little bird hopped around in my backyard this afternoon, and I had to wait a little bit for it to come out in the clear, so that I could snap a picture. 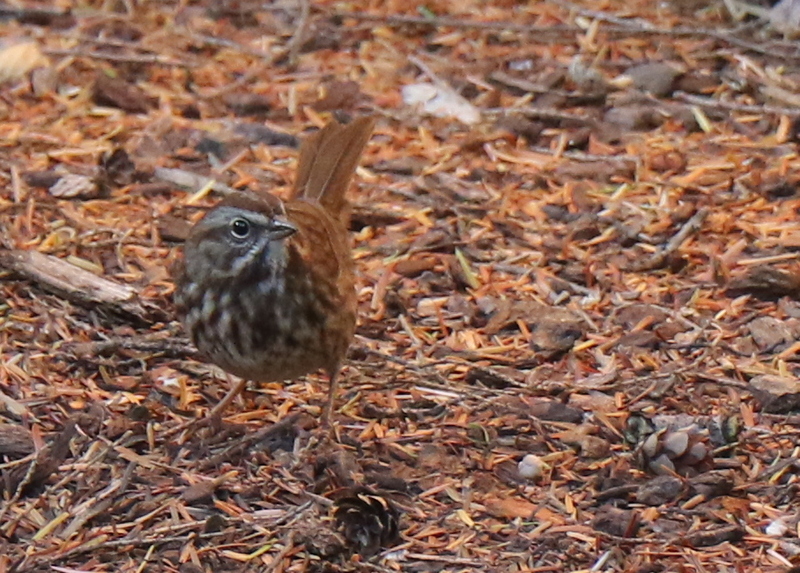 I believe it is a hermit thrush. They like to hop around and forage in fallen leaves, and they can sing in beautiful notes.